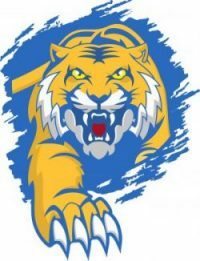 Littleton High School students will have the opportunity to compete as part of the Nashoba Valley Technical High School wrestling team this season. Excitement and anticipation are growing in the Littleton and the Nashoba Tech wrestling community. Nashoba Tech, now in its third-year, is coming off a noteworthy 2017 season with seven individual champions and a team championship in the Colonial Athletic League Wrestling tournament. Nashoba Tech’s head wrestling coach Bill Corr sees the Littleton Cooperative as an opportunity for growth. “It is a natural fit for us as many Littleton kids already attend Nashoba tech,” said coach Corr, referring to the fact that Nashoba Tech serves eight towns: Ayer, Chelmsford, Groton, Littleton, Pepperell, Shirley, Townsend, and Westford. Other noteworthy past Littleton wrestlers include Mitch Pindara, Brian Crory, Michael Wilson, Jeremy Rivas, Eric Rivas, Steve Partridge, and Eric Bottenhorn. Student-Athletes at Littleton High School will have their first chance to compete in High School wrestling since 1996. At that time, the town canceled its wrestling program due to a significant number of graduating wrestlers and some others not being able to return. According to Kennedy most of the program’s wrestlers are under 10 years old because without a high school program he had difficulty recruiting and keeping middle school kids. “With all the other options, why would an athlete sign up for the sport of wrestling if there is no opportunity to participate in high school,” said Kennedy. Interest from middle school students is just is not as keen without a high school program. Greg Bottenhorn has joined Kennedy as a Littleton Youth Wrestling coach. Cooperative agreements for sports programs are typical for small towns like Littleton where the school population is low, and there is a lot of competition with other sports. In fact, Littleton High School currently has a similar cooperative agreement in girls’ and boys’ rowing with Westford Academy. In swimming and hockey, LHS is in a co-op with Bromfield. In girls’ ice hockey, LHS is in a co-op with Westford Academy. Cooperatives give students more choices when it comes to athletic programs, providing opportunities for students with different athletic strengths. As for Littleton’s youth wrestling program “Our students just want to have the chance to wrestle in high school and beyond. This partnership provides that opportunity,” said Kennedy. It’s yet to be determined precisely how many Littleton students will take advantage of the cooperative this year, but Kennedy said once the word is out he believes interest will snowball quickly. Have more questions about the Littleton HS / Nashoba Tech Coop? Read our FAQs to learn about the Littleton Nashoba Tech Cooperative Agreement.